The assets you have in mind for your loved ones may include your thoughts on how they will be used, too. That’s why some people choose to use tools such as trusts to maintain some level of control over how the assets are used. Were you hoping to leave behind some assets for your loved ones to help with educational costs? Higher education is only becoming more expensive. Recent data points showed that it is outpacing inflation by an average of at least 4%. Within the last five years, tuition has increased by at least 9% in most cases and many families are struggling with how they will be able to plan for college. 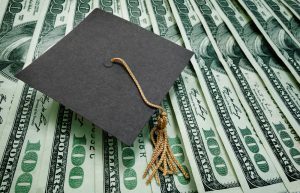 While there are traditional opportunities such as a 529 savings plan, it is also important to consider that you may wish to include planning ahead for higher education in your estate planning. Leaving behind a specific type of account or using a life insurance policy to assist a loved one with paying for college are just a few of the ways you can assist a beneficiary with accomplishing his or her goals comprehensively. Do not hesitate to reach out to an experienced estate planning lawyer, if you have questions about the different ways that you can incorporate assets that will be gifted on to others that they can use for the purposes of higher education. If something were to happen to you, your loved ones would be able to tap into those financial resources to accomplish their educational goals.